Only 27 other Republicans joined Speaker John Boehner Tuesday in supporting an increase in the debt ceiling. Hastert Rule? Never heard of it. On Tuesday, in a rushed vote in advance of a snowstorm due to hit the Eastern Seaboard, Congress voted 221-201 to avoid the possibility of default and allow the Treasury to continue borrowing in 2015. Only 28 Republicans, including Speaker John Boehner who cast a rare floor vote, supported the clean debt increase while only two Democrats joined the bulk of House Republicans in opposing it. With the federal government due to hit its borrowing limit at the end of the month and Congress due to be on recess for the next two weeks, the clock was ticking for legislative action to avoid potential default. President Obama had long signalled his opposition to signing a debt limit increase with any conditions attached while House Republicans have long sought to use the once relatively routine procedural vote as political leverage. Early Tuesday morning though, Boehner realized only a clean bill would pass as there was no way that the Speaker could get 218 votes out of the GOP caucus to support any increase and he had no carrots to dangle that could lure over conservative Democrats to support a debt limit with a rider attached. Many members of House leadership and committee chairs broke with Boehner in opposing the bill, including James Lankford, the no. 4 Republican in the House and former GOP vice presidential nominee Paul Ryan, the chair of the House Budget Committee. The 27 Republicans who joined Boehner in supporting the bill ended up comprising a ragtag crew of moderates, the retiring and loyalist committee chairs. In fact, only two, Appropriations Committee chair Hal Rogers of Kentucky and retiring Rep. Howard Coble of North Carolina, represent states that Mitt Romney carried in 2012. The no votes in the GOP caucus didn't just include the usual suspects. Even close Boehner friends and longtime allies like Tom Cole (R-OK) and Mike Simpson (R-ID) voted against an increase in the debt. The two Democrats who voted for the bill, John Barrow (D-GA) and Jim Matheson (D-UT) both represent conservative districts and face competitive elections; Barrow in 2014 and Matheson, who is retiring from Congress, is expected to run for Governor of Utah in 2016. Conservative groups spent Tuesday howling at Boehner's betrayal. 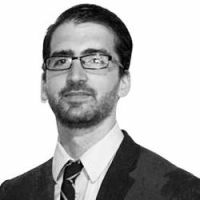 Groups like the Club for Growth and Heritage Action key voted against it and bitterness was in the air within the GOP Daniel Horowitz of the Madison Project jibed to the Daily Beast. "Sadly, Boehner probably wanted to get the debt ceiling out of the way so he can pass amnesty. This is one more reason why we need to replace Boehner as Speaker." The Senate is expected to approve the clean debt limit increase on Wednesday morning.